– Click-to-Run has been introduced in Microsoft Office 2010 as a new way to download and install Microsoft Office applications. In Click-to-Run, Microsoft uses virtualization technology to allow you to use your Office programs, as they are streamed and cached on your PC! Click-to-Run download is currently available for Office 2016 products. It works on both 32-bit and 64-bit Operating Systems of Windows 7, Vista and XP.However,Microsoft actually runs only the 32-bit version of Office on both platforms. 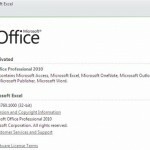 Office 2010 applications downloaded via Click-to-Run is also available in all languages that the actual Office 2010 beta download provides. The other advantages of Click-to-Run Office delivery are the following. Another advantage of Click-to-Run delivery is you will always be running the latest and most secure version of Office 2016, as Click-to-Run users get the latest bits right away (rather than old bits that need to be patched immediately, which can take another 60 minutes over the internet) ! Last but not the least is its co-existence with other office 2016 software installed on your PC! Thus users can continue run Office 2007 for their production scenarios while they evaluate a trial of Office 2016, through this sophisticated virtualization technology. In Click-to-Run technology, Office 2016 applications run locally on your PC,in a virtual application environment, utilizing the PC’s resources, and they don’t “run in the cloud”. Thus they have private copies of their files and settings, and that any changes they make are captured in the virtual environment. The effect is they don’t end up modifying any other software installed on the System. Thus they run independent of other similar applications! With few exceptions, only user data actually passes through the virtual environment to the local System. Click-to-Run is not only fast and virtualized but it also needs lesser disk space. Click-to-Run users may notice that they have a virtual Q: drive on their PCs, this is the virtual file system used by Office 2016. 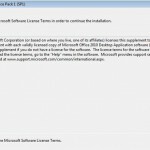 Click-to-Run products is similar to video streaming on your PC. When you search YouTube and watch a video on your browser, you get to watch the first part of the video before the entire file downloads. Likewise, with Click-to-Run, users can start using their Office 2016 applications before the entire office suite has been downloaded, enabling them to get to work much faster. While the user is running their application, the rest of the products are being downloaded in the background. The initial installation process is very different than what users may be used to. The experience of getting Click-to-Run Office is more like downloading a big web control than doing a traditional install of MS Office. Once fully downloaded, the product is cached locally, and users are free to disconnect from the internet and continue using their Office products. 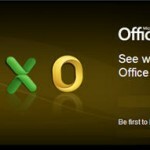 Download Office 2010 from here via click-ro-run technology and try office 2010 apps. This is no longer available. You can now download Office 2016 Deployment Tool that allows the administrator to customize and manage Office 2016 Click-to-Run deployments. Apparently third-party OneNote add-ins do not function with OneNote. 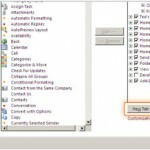 Because of the add-in model for OneNote, so add-ins are not available when using Click-to-Run. I’d really miss this, so will probably stay with a local install for now.